ONLY REQUIRES ONE HOLE IN THE DOOR via mounting adapter back plate. Language Options include: English, Spanish, German and French. 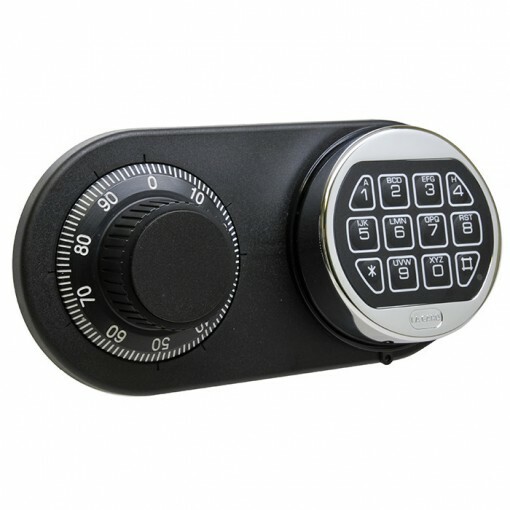 Manipulation resistant 3-Wheel Combination Lock. Can be mounted RH, LH, VU, VD.No spline key required.